The most budget model of vacuum cleaners from Xiaomi. Hello! and welcome to the xiaomitoday.com. We continuously thrive to bring the latest product reviews to our readers. 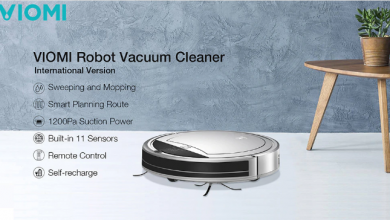 Now, we will share our opinion regarding the latest the robot vacuum cleaner Xiaomi VIOMI VXRS01. 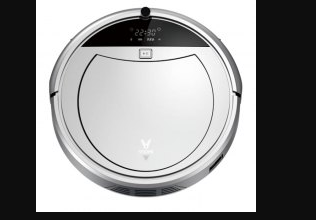 This latest vacuum cleaner is undoubtedly the most budget model of vacuum cleaners from Xiaomi. – two hours of cleaning along the standard route. 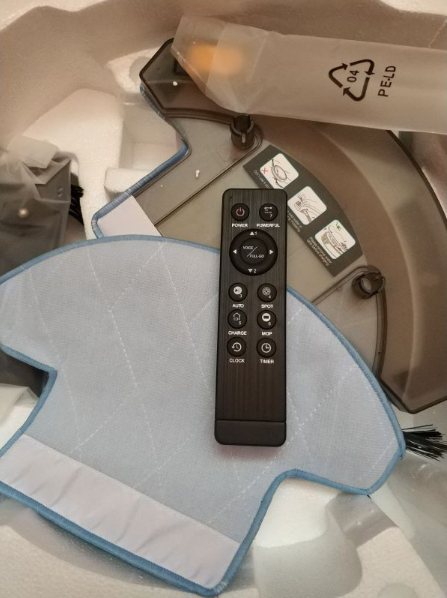 – remote control, with virtually no control from a smartphone (but without problems with Chinese servers). – with bonuses a lot of emotions and understanding how dirty everything was around. Recently we have seen many such technologies. 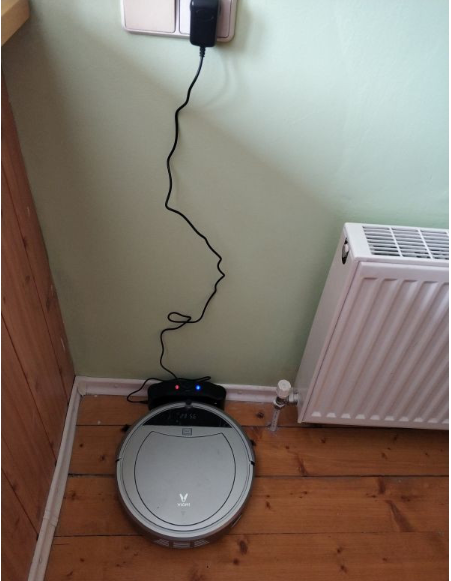 These vacuum cleaners have been featured in reviews, and with comments in the style like: “I have been with this for a year (two or three), and I am very pleased with it, the coolest purchase”. However, in this review there will be our impressions, in some places, there will be analysis, and lastly in some places attempts to make sparkling humor. Maybe some of you have some confusion regarding the phrase Xiaomi VIOMI. Then you should not be afraid of dirty tricks. 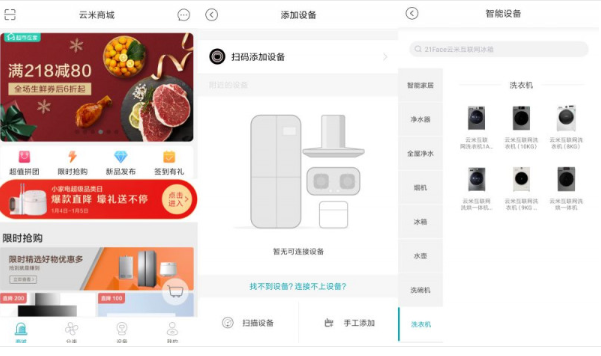 Underlying all brand Viomi Technology Co, but it has a distinct attitude to Xiaomi and reviews like many online. 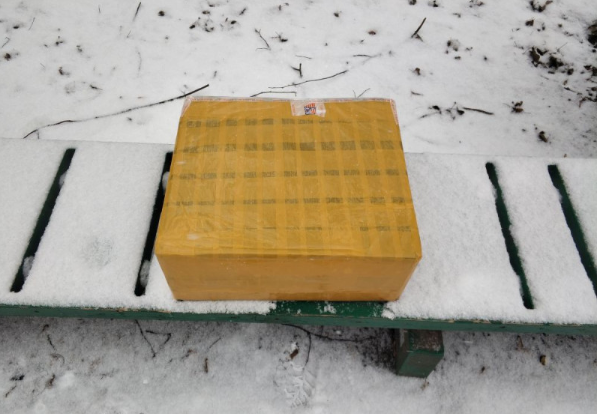 The Xiaomi VIOMI VXRS01 arrives in nice packaging as you can see from the below picture. The figures do not give a complete picture of the size, and it’s really a big box. 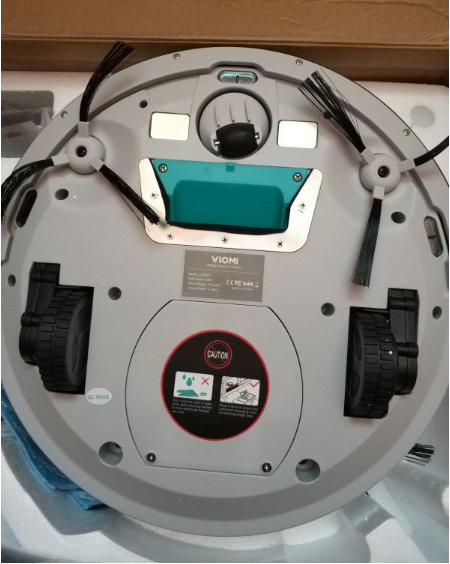 The vacuum cleaner comer with nice foam cladding from inside, and many accessories. The Xiaomi VIOMI VXRS01 comes with two separate set of instruction – quick start and full instruction. For regular users, we will advise you to review it, and this will be enough. For the tech enthusiast among us, we will also cover the full instruction. You have to start cleaning from the console. 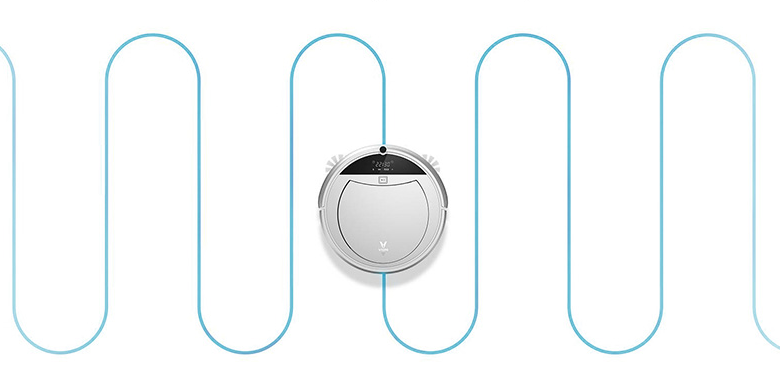 The Xiaomi VIOMI VXRS01 first assures that it is ready to begin cleaning and starts driving around the room. 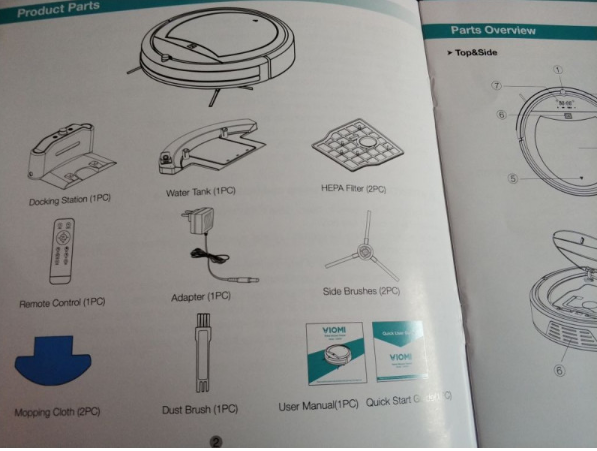 There are different modes available with the vacuum cleaner for cleaning, like cleaning in a circle, however, according to us, the best cleaning can be achieved by cleaning mode along straight lines, as in the schematic picture below. If there is any obstacle in the cleaning path (as usual it has a soft buffer sticker on the body from the front and a moving structural part), it pulls back and tries to shift to the course of tack to the side and drive again. 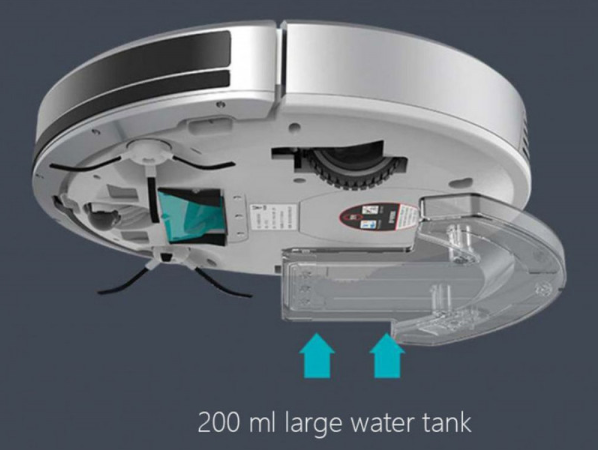 Also, always remember the dimensions of your vacuum cleaner, i.e., 310 * 78 mm as you need to arrange your furniture according to it so that it can climb into all places. Optionally, you can also use a water tank (200 ml) and a special napkin, but the practice has shown that with this a lot of gestures, and the usual operation of a vacuum cleaner and so removes. Next, you have to choose a place to install the docking station of Xiaomi VIOMI VXRS01. According to the instructions you need to free half a meter on each side of the area, in fact, this will be enough. After the first use, when it worked for around two hours, it starts looking for a docking station. For the first time, it goes in different directions in search of the docking station. However, this is only the first time, after that it confidently goes to the station himself. 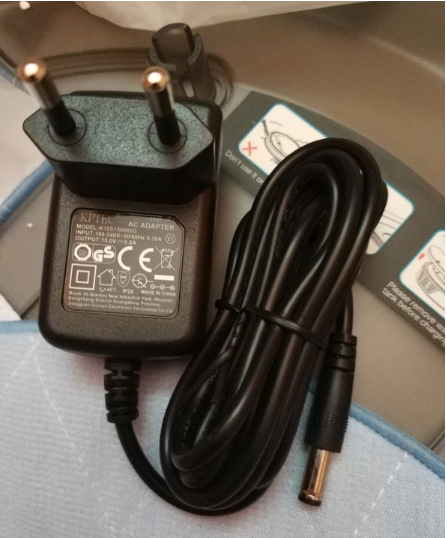 We also measured the power consumption, and it takes around 10 watts pulls from the outlet when charging from the power supply directly through the port. 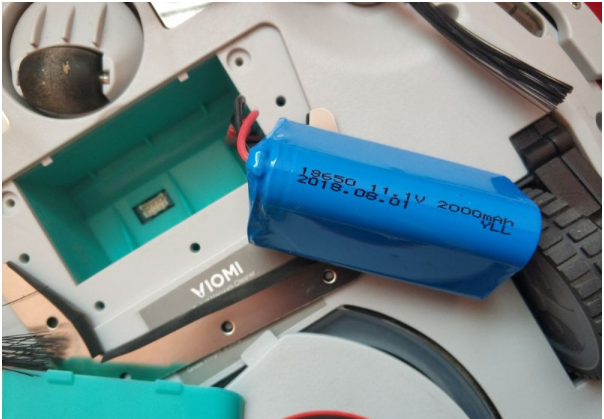 It takes about 2.5 hours to charge the Xiaomi VIOMI VXRS01 completely. 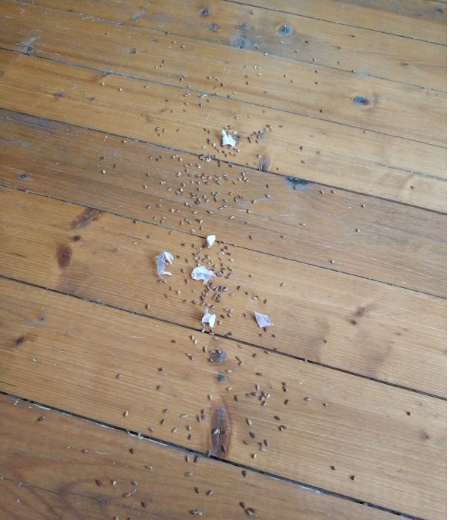 A separate trick and minor inconvenience – the behavior of the cat. A cat somewhere about two years old and she was wildly frightened by the buzzing monster and ran off to a friend’s room. Moreover, I then taught all sorts of videos on YouTube. They thought they would be friends, her vacuum cleaner would roll around the room, and the cat would enjoy life. 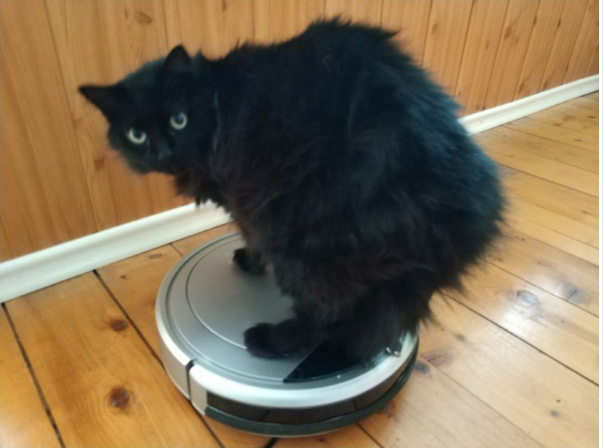 Most likely, such videos were shot with cats that have already seen vacuum cleaner robots from an early age and therefore calmly relate to them. My self is off except what can be seated, and then there are some frightened eyes. 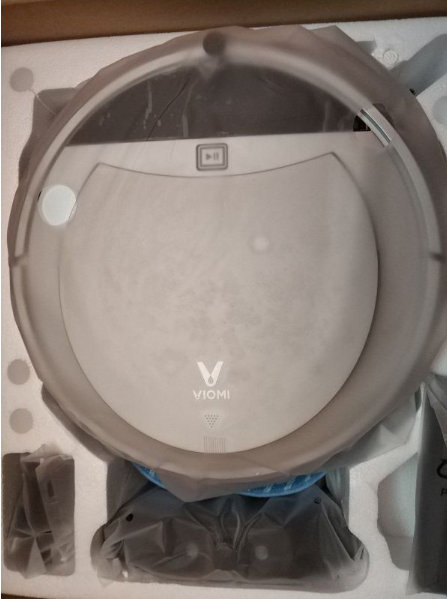 The first launch of Xiaomi VIOMI VXRS01 turns out to be really dirty as you can see how dirty everything was around. The vacuum cleaner worked straight for two hours and went to the charging station. 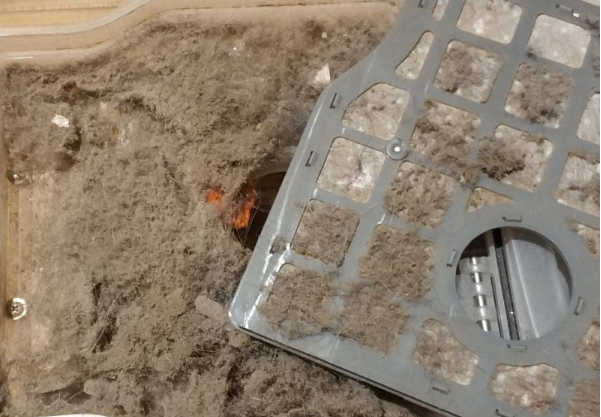 When we opened the tank lid, it was a full tank of dust/dirt. We also conducted a small test run and cleaning for our readers, and we poured in all kinds of debris, including torn pieces of paper. The Xiaomi VIOMI VXRS01 gradually collected everything. Here it only moves along the trajectory from right to left along straight lines. 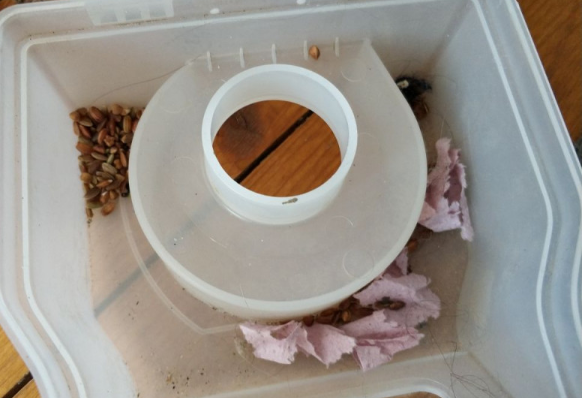 Therefore part of the garbage remained and was remove only after it reaches the wall on the right and went backward to move. 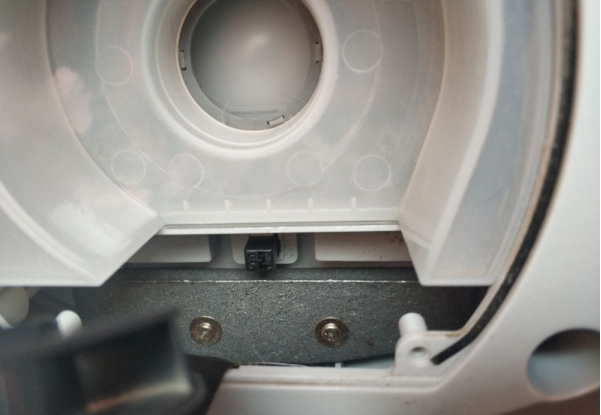 We had a great desire to disassemble and look at all the insides of Xiaomi VIOMI VXRS01. However, the vacuum cleaner is assembled firmly. And half an hour later with the search for very long bits and some foul language, the idea was half completed with a victory. 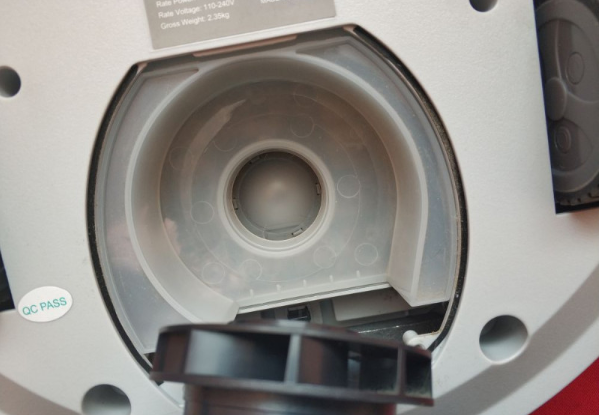 There are different amplifiers visible inside, and we also liked the rubber gasket along the contour of the compartment. 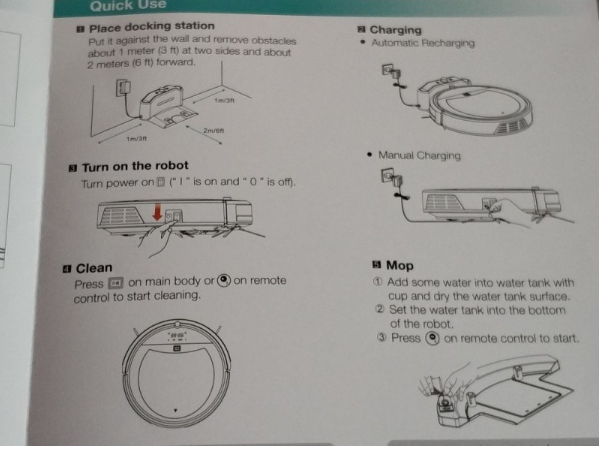 True, there is a warning on it stating that the robot should be protected from water. 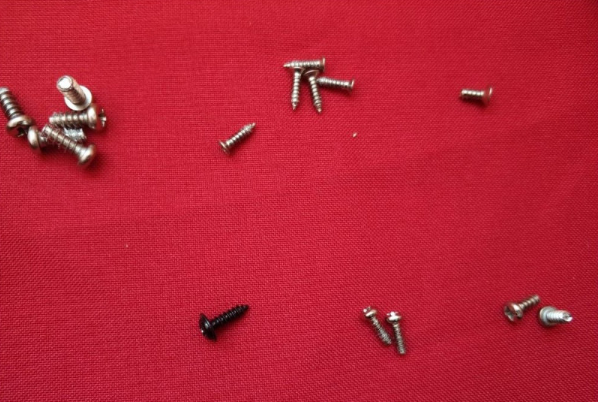 For example, I got to the batteries – obviously, there are 18,650 inside, and this means that we can replace them if necessary. 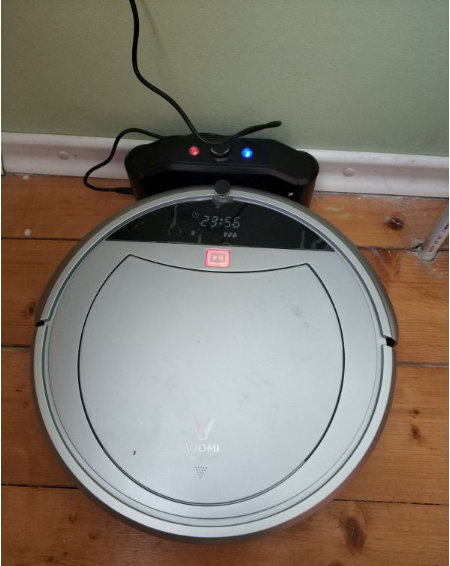 The Xiaomi VIOMI VXRS01 robot vacuum cleaner compared to models of 300-500 bucks and control from a smartphone, zone cleaning and other buns. It seems not very smart and quite primitive. 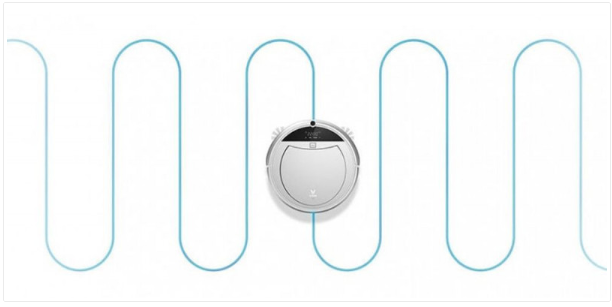 But the main function of the robot vacuum cleaner is to clean up the house. Without interfering with the owner, to eliminate the need for manual cleaning. To do this, with him as with any other need to do some preparation of the area (remember the dimensions of the vacuum cleaner itself?). 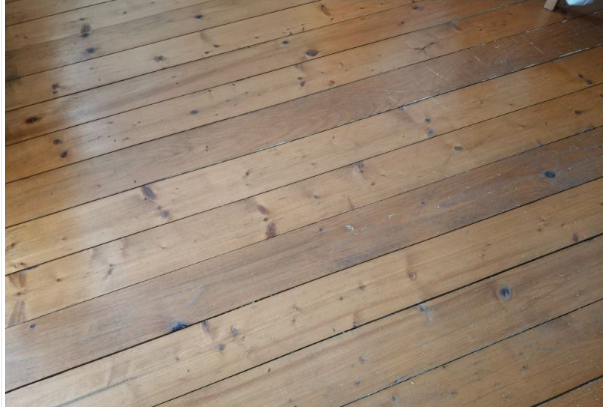 Pay attention to the difference in the floor level of different rooms. Otherwise, it performs its tasks perfectly well. Moreover, control from a smart … It’s like riding around the house with a multi as a model RU and frightening a cat – once it can be cool. It is possible to rearrange the docking station one more time and place bets on how quickly he will find charging at the new location. But no one in their right mind will do this regularly, right? Although maybe it’s boring. There are also disadvantages, really. The first cleaning with the probability of a lot of percents will end with the understanding that in fact everything around was not the cleanest. 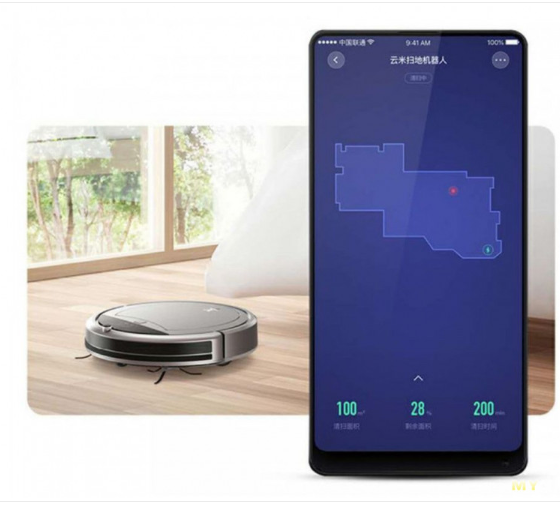 The Xiaomi VIOMI VXRS01 robot vacuum cleaner is available at gearbest for just $219.99.